Summery: I add the last idea to “So Far Away”. Leave it rough and move on to a country song. I decided to add one last idea to “So Far Away” and move on. Later I’ll circle back more practiced and polish it. The final addition is a some piano written by my high school friend Jason Bailey. Back when the dinosaurs roamed we made some 4 track magic. Jason now runs moogov.com a cool site where you “write, submit, debate, and vote on legislation”. I wanted to get Jason involved because unlike me he actually plays piano. I remember years ago how awkwardly I programed drums. Not being a drummer, I didn’t understand their roll in a song. Here it is with Jason’s piano. Next up is a country-ish song. The melody and idea came to me after watching The Last Picture Show. I figured I’d start out recording acoustic guitar and then program some hi-hats for the right rhythmic feel. But the guitar never felt right to me so after a day or two I just drew in the chordal progression and had Kontakt 4’s upright piano play it. As simple as that was it actually worked. I’m debating whether to leave the hi-hats in when I record. The pattern is 1,2,3, 1,2,3, 1,2. They are 1/8th notes but the accents don’t fall on the 1/4 note. Strangely, I can track the rhythm and sing to the song with only chord changes on the one count. Maybe this song needs some rhythmic flexibility in the vocals and the hi-hats were too much structure. The lyrics are coming slow. I watched the film again thinking it would give me some ideas. Not really. Today I want to at least finish one verse/chorus section. The song doesn’t really have a verse or chorus… it just flows from one to the other. But I fell like I need at least one of these sections to practice the phrasing and figure out the key. I’ve tried it in several keys already. I’ll probably have to record the vox in a few different keys and see what feels best. Acoustic guitar is always difficult imo. I wrote a post encouraging people to try dynamic mics on acoustic guitar and vocals. I find I get better results right out the gate. Once again I proved to myself… just use the SM7. Here I’m using it on both guitar and vocals. And yes, I did try other mics. The vox got recorded close (6″) with a pop screen and the mic very off axis (not pointing directly at my mouth). 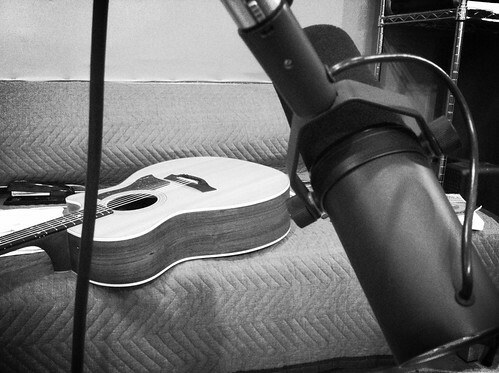 The guitar was recorded at about 3′ where I could hear the proximity effect subside. Again, way off axis like this picture. I always monitor the mic in headsets to figure out placement. It’s kind of a poor man’s control room. Since the idea is to isolate the mics signal from the actual signal I used isolation-ish headphones. 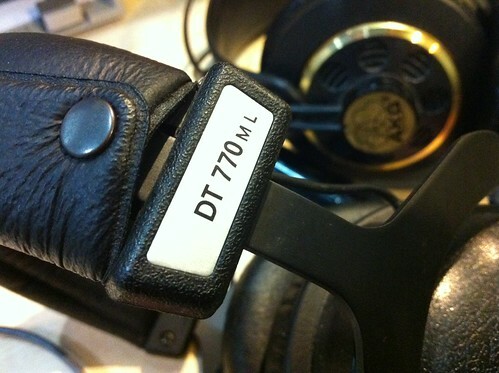 I’m using Beyerdynamic DT 770Ms. On the plus side they are comfortable and have some isolation. On the negative side they are way too bassy. 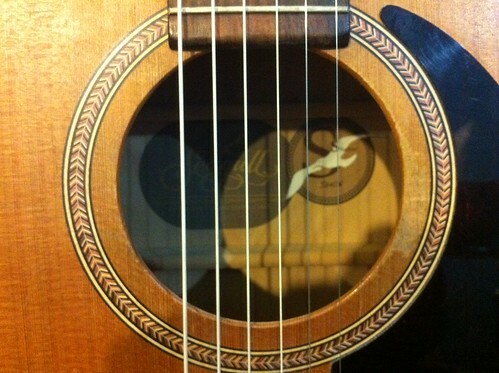 When the acoustic guitar combined with the hi-hat pattern it started coming together. I expected the drums to have a bit of swing to them but ended up using them straight. In the final version I may need to just record myself playing my acoustic kit to get the right feel.